We are the only small publisher who has the option to offer your story directly to Hollywood Motion Picture and Television Production Companies and Executives. Because most of us at our company have had Hollywood Studio production experience, we have connections directly in the production companies and studios, and we have a better understanding of how stories are actually sold to Film and Television Production Companies and Studios. Our principals are active members of the WGA (Writers Guild of America), the DGA (Directors Guild of America)We are also members of the Submission Committee of NATPE, The National Association of Television Programming Executives. As a result of our production experience and connections, we are offering our Media Package to authors. This Package gives authors a direct shortcut to getting their work in front of Film and Television Production Executives who buy stories. 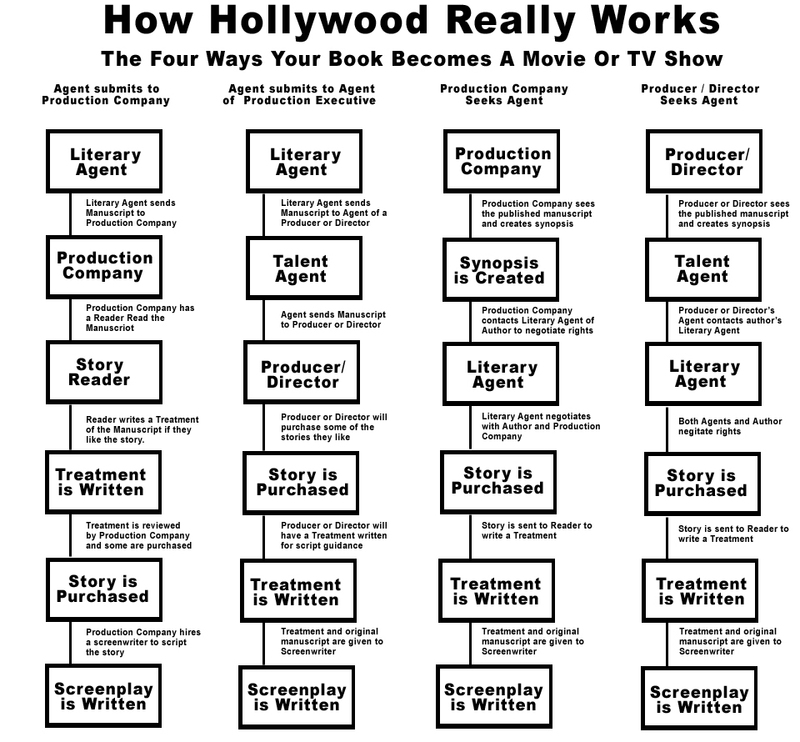 Selling a story to Hollywood is a relatively closed system. 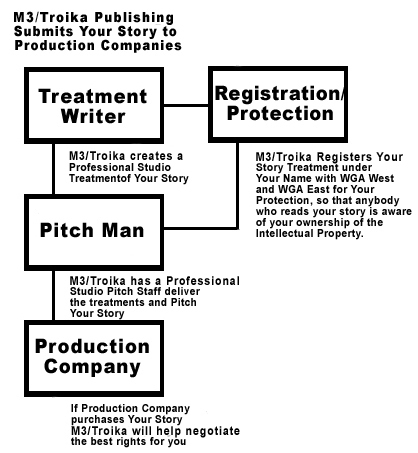 There are basically only 4 ways stories are sold to Production companies. All of them involve having a top Agent represent you or knowing somebody on the inside of a Studio or Production Company. Our principals have been selling and producing motion pictures and television properties for more then 40 years with the top studios in Hollywood and the major television networks. Our Media Package is a fast track program of having your story get into the hands of the production executives who make the decisions, and by-passing the Hollywood system of Agents and Production Assistant Readers. Now, with our Media Program, writers and authors who would never normally have the chance to get their works seen by film and television production executives, can have their work exposed to the best of Hollywood. And we provide you with the greatest protection available for entertainment intellectual properties. All Treatments that we produce are immediately registered with the Writers Guild of America in both their West and East offices. Because of our Executives’ experience and connections on the studio industry, our staff can also testify and represent you in the event of copyright infringement, plagiarism, or license violations.